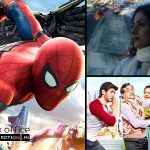 This Friday released Hollywood movie Spider Man Homecoming has registered the highest business of this weekend, by dominating the adjacent two new Hindi offerings Mom & Guest Iin London at Indian box office. Although all three movies recorded growth over the weekend, but this American action adventure is the one which attracted major segment of audience. 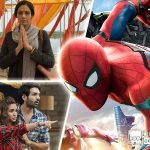 Starting the journey on a good note, Tom Holland – Robert Downey Jr. starrer Spider Man Homecoming received positive reviews and fetched the amount of 2.16 crores on Thursday with it’s paid previews. On the opening day with highest occupancy than other new releases, it minted the amount of 7.20 crores across the country. On Saturday being weekend and due to positive word of mouth, it showed good growth and raked the business of 9.60 crores. Then on Sunday with further increment, it garnered the business of 9.70 crores and raised it’s opening weekend total collection to 28.66 crores nett from India. 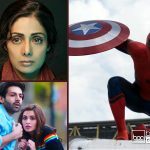 On the other hand, veteran actress Sridevi, Nawazuddin Siddiqui and Akshaye Khanna starrer suspense thriller Mom recorded a decent performance on the opening day, but received positive reviews from critics as well as audience. On Friday, it did the business of 2.90 crores from 1350 screens at domestic box office. With good word of mouth, Ravi Udyawar’s directorial picked up very well on Saturday and collected the amount of 5.08 crores. On Sunday, Mom it showed more growth and added 6.42 crores to it’s account. With this, total opening weekend collection of the movie has become 14.40 crores nett. 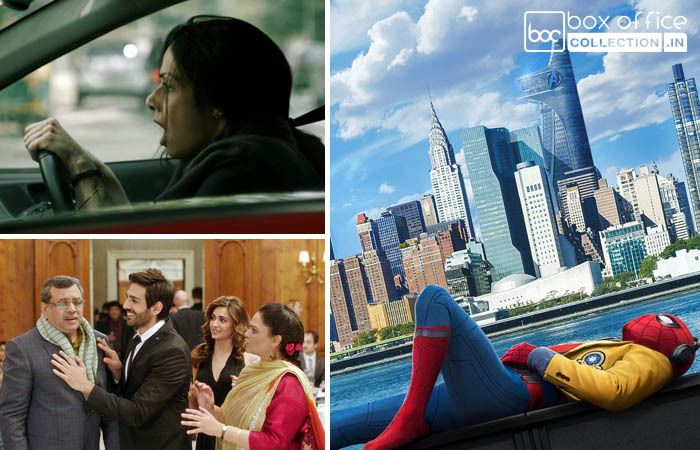 While Kartik Aaryan, Kriti Kharbanda, Paresh Rawal and Tanvi Azmi starrer comedy drama Guest Iin London commenced the journey on an average note with 2.10 crores of opening weekend on Friday. Also it received mixed reactions from audience and negative reviews from critics. Even though, it witnessed considerable growth over the weekend. With decent jump, Ashwni Dhir’s directorial bagged the amount of 2.75 crores on Saturday and 3.10 crores on Sunday. This has made opening weekend of Guest Iin London as 7.95 crores from Indian screens.